The final entries for the Campaign Big Awards - the UK's premier celebration of commercial creativity - must be received tomorrow night (Thursday 7 September). Those entries that have been shortlisted will be announced on 16 October with the Awards ceremony being held at Old Billingsgate on 29 November. 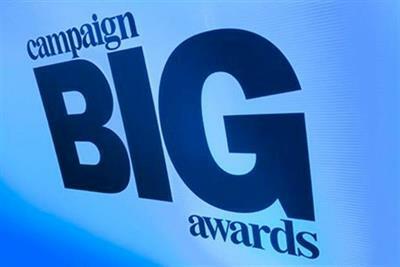 This year's Campaign Big Awards will feature new product categories, awards for "the Best of the Best" agencies by media platform, and the overall Campaign Big Agency of the Year to be named on the night. The awards are being judged by a panel of top creative talent, chaired by the chief creative officer of Mr President Laura Jordan-Bambach and supported by Ana Balarin, the joint executive creative director of Mother; Richard Brim, the chief creative officer of Adam & Eve/DDB; Alex Grieve, the joint executive creative director of Abbott Mead Vickers BBDO; and Caroline Pay, the joint chief creative officer of Grey London. Entries can be submitted through the Campaign Big Awards website up until 11.59pm on 7 September. For further information please contact sarah.fournier@haymarket.com.